After Picasso and Max Ernst no other artist has contributed as much to the sculpture of painters as Paul Wunderlich. Paul Wunderlich was a painter, sculptor, and printmaker. He created surrealist-influenced works which help establish him as a leading memeber of the Magic Realist circle of artists. Born in 1927 in Eberwalde, Germany, Wunderlich took graphic art classes in Hamburg as a child. He was offered a teaching position in 1951 at the art school he had attended. He taught there for overa decade and while he was there learned printmaking techniques from Emil Nolde (German printmaker, 1867-1956) and Oskar Kokoschka (Austrain printmaker, 1886-1980). He also began painting with his free time in the Expressionistic style of Tachism. He would later abandon this for the more figurative imagery. After a realistic creative period from around 1959 he developed his characteristic style. His earlier works show dismembered body parts, disproportioned in front of an empty background. In the 1960's he was influenced heavily by art movements such as Art Deco and Art Nouveau. 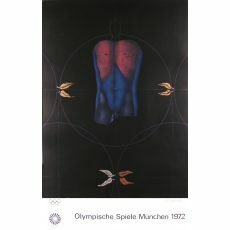 In 1961 Wunderlich received the Prize of the Youth for graphics. With his prize money he moved himself to Paris in 1962 where he worked in the workshop Deskjoberts in Paris. In 1963 he returned to Hamburg and as a successor of George Gresko who was professor of Hochschule until 1968. He started making bronze sculptures and statues that were influenced by Salvador Dali in 1969. Paul Wunderlich married photographer Karin Székessy in 1971, and the couple pursued art projects together. as Fritz J. Raddatz documented and commented. Wunderlich lived and worked in Hamburg and Saint-Pierre-de-Vassols (Provence). 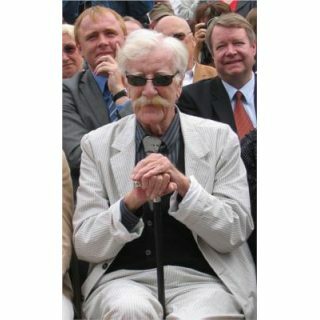 Wunderlich died in Provence on June 6, 2010 at the age of 83.